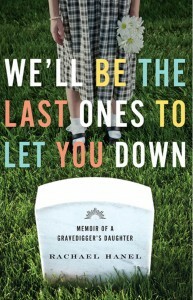 The cover of Minnesota writer Rachael Hanel’s memoir, We’ll Be the Last Ones to Let You Down: Memoir of a Gravedigger’s Daughter, recently published by the University of Minnesota Press, is curiously upbeat, practically gay, with its jokey title in bright white, yellow, aqua, and salmon letterings. A better cover to my mind would have been a skull, for truly this book is a memento mori. Maybe the cover designer was a Minnesotan who, like the folks from rural Minnesota whom Hanel captures so knowingly, was afraid to face the real subject, death and its bride, grief. Maybe the cover designer thought it would put readers off to sense how dark this book is. But to me that’s its great strength. Death was the school of Hanel’s childhood, and she tried to learn its lessons. But when it struck suddenly and close to home, she was brought to her knees, finding nothing in her education had truly prepared her for what personal loss and grief really feel like. Hanel grew up in Waseca, the daughter of Digger O’Dell, who had a grave digging monopoly in that area of south-central Minnesota, digging more than 100 graves a year. Her father, Paul Hager, took the name from a character on the Life of Riley. He loved the outdoor work, having spent the prior 14 years from right after high school slopping pigs and cleaning manure off concrete floors with noxious chemicals. He and his wife also mowed and tended the cemeteries, often accompanied by their three children. Rachael was three when her father became a gravedigger, so she grew up playing around headstones, learning math by subtracting birthdates from end dates, seeing toys and balloons people left on babies’ graves, and studying the mystery of death, captured in the photograph of a young girl in a locket on one of the gravestones. 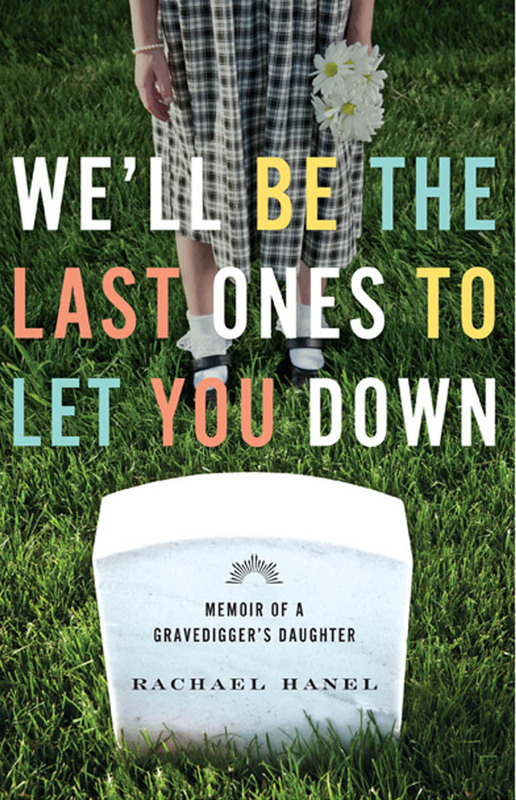 It didn’t strike her as anything special or unusual to have a gravedigger for a dad, and she says, at least in the beginning, that spending so much time around graves and being exposed to so much mortality didn’t bother her. Her parents were modest, practical, hard-working people with a secure and respected place in the community. Death and burial were just part of life, just what they did, and it didn’t occur to them that their impressionable daughter might be affected by so much exposure to death, nor would they have known what to do about it. But at least as this memoir is shaped, Hanel was affected by all the death, to the point of being somewhat obsessed with it. She was certainly on her own in processing it; death wasn’t discussed and people in that area, “stoic Germans and Scandinavians, reserved northern Europeans who wore stony faces for the world while they withered inside” taught her nothing about how to deal with her own grief, when it came to her as a staggering blow. She was fifteen and her father forty-six when he died in great pain within three days of being diagnosed with cancer. At the real heart of this memoir is the story of a daughter’s love and loss, and the aftermath. The cemetery took on a different meaning. It became more than an expanse of lawn marked with jutting granite and marble teeth, more than just a place where Dad and Mom worked. It was no longer the place where I sat in the pickup with my books until I could go home and play with my Barbies. Instead, the places where I watered flowers or picked up sticks were the same places families like Michelle’s had stood. Holes were opened to receive their bounty, then closed forever. Bodies rested below me, invisible tenants. But it is only when she experiences the death of her father that the enormity and confusion of death is truly brought home to her. I thought I knew death. But I didn’t really know it; I had only created a romantic definition of it through words and pictures. I knew nothing about the visceral side of death. In reality, the essence of death was huge, chaotic, impossible to grasp. . . When I was fifteen, I thought grief was only black or white. Either you had to pretend you weren’t grieving at all, or you felt grief so deeply that you became psychotic. If I let a tear slip, I would be deemed fragile, crazy, someone to be pitied, out-of-control. Someone lacking the fortitude to control her emotions. I didn’t want to be that person. I wanted to be like the others I had watched over the years. They were strong and resilient, and I admired them. In keeping with the culture of stoicism, on the night of Hanel’s father’s death, her mother retreats to her bedroom and shuts the door without a word. The family members retreat into their separate worlds, the beginning of the fracture of the family. They never speak of Hanel’s father, never say his name, a denial of pain that makes them distant one from another, rather than close. Within a year her mother will sell the house in the country and move to town. Three years later after Hanel has just graduated from high school, her mother will ask her to move out. Tension has filled the void in the family after the father’s death, and mother and daughter turn not to each other but to outsiders. 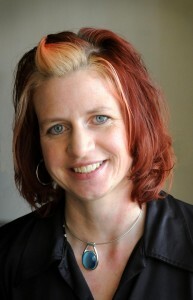 Hanel’s mother begins dating and moves to Minneapolis. Rachael marries her high school boyfriend at 19, the same age at which her mother married. There’s no great estrangement between mother and daughter. But there is a strange, sad feeling that the life they shared with Digger O’Dell has died and been buried. This memoir is a memorial to that life, and especially to Hanel’s father, whom she loved and lost too young. Now in the present, reflecting on the effects of her father’s death, Hanel tells us that two major fears stop her from having children herself. There is the fear that she might leave them the way her father left her, causing the terrible grief and sadness she experienced. The other fear is that she might lose the child. If she doesn’t have children, she has nothing to lose. As strong as I’ve been in the face of death, it’s a mask. I’m not strong at all. I was given one deep well of strength to draw on, and I ran it dry after Dad died. I had no concept of rationing, so I suspect I have nothing left. This is heavy, sad stuff. But Hanel has written a brave, honest book that looks death in the face and doesn’t flinch. She does a beautiful job of capturing the farmers and blue collar people of this area of rural Minnesota, seeing them with clear eyes, without sentimentality, but with respect and understanding. Like its southern counterpart, A Death in the Family, by James Agee, Gravedigger’s Daughter captures movingly the wounds and scars that sudden death brings to a family. I emailed Hanel to ask her a couple of questions about her memoir. I was intrigued by the way she slips seamlessly into her father’s point of view, with the kind of omniscience usually seen in fiction rather than memoir. He draws a white handkerchief from his right pocket and wipes his brow. The sweat beads come faster and stronger. Each individual bead joins with its neighbor, like small creeks flowing together. Pretty soon he has the Mississippi running off his nose even though it’s only seven o’clock. God filters into his thoughts. Dad thinks how a body will go into this space in a few hours, that it’s just a body, a shell, nothing more. The spirit will not rest here; instead, it will drift somewhere out there, above. He envisions heaven. He wonders if the spirit stays in one piece and floats up to St. Peter at the pearly gates to look down from above. Then he thinks maybe the spirit dissolves into a million pieces and descends gently onto everything in the world like a fine dust, that everything in the world holds an invisible layer of people who have died. I thought it worked really well to go into the father’s thoughts, making him alive and real. It’s really clear what Hanel’s doing and I think the reader easily accepts it. But I wondered if Rachael had any thoughts about taking that kind of liberty, given all the opinions out there about what is “legit” in memoir and what isn’t. Hanel: ” This is a valid consideration. I hope it’s clear that this is an imaginative scene. I would not have done this unless I felt I knew the character really well. And since the character is my father, I did not hesitate to put thoughts into his head because I truly believe—through knowing him, through talking to my mother about him—that he did ponder these things. And since my father has passed away, I felt this was a way to give him a voice. If he were still alive, I could just ask him what he thinks about when he digs a grave. But since he’s not alive, I believe he wouldn’t have a problem with me speaking for him. Now that you mention it, I guess I do it in other places throughout the book. But always only with characters who I know well and when I know a lot of background information. For example, with my Grandma Hager, I didn’t have to take too much of a leap to imagine what she might have felt or might have thought upon the deaths of her babies. Knowing her, verifying supporting details, and just knowing what a universal emotion such as grief feels like helped me get into her head. My other question is the one that always comes up for people, which is how did she handle writing about her living family members in terms of their feelings. Did she show them the manuscript prior to publication, or have they said anything either supportive or otherwise, especially about their portraits? I think it’s really difficult for people to write about family members, who may see things very differently. I asked her how she handled writing about her family. “It did feel strange for me to write about family members who are still alive. I’m writing about them in relation to me and in relation to the story, so in my mind, it’s not really about “them,” like a biography would be. But of course they are in the story—in that way, maybe they are like “innocent bystanders”! That’s the price you pay for having a writer in the family, right?! They knew that I was writing the book, but I did not show them anything prior to publication. I let them read it when it was in the proof stage, so they could read it ahead of the release. I didn’t show it to them because it wouldn’t have changed the story. There’s a danger when you get too many voices to weigh in on a memoir. It’s your memoir, it’s how you remember things. If my mom were to write a book, or my sister were to write a book, those would be very different stories from mine. We all have different perspectives and different ways that we remember things. If they had suggested changes, I perhaps would have felt compelled to change something that wasn’t true to me. I like to think this is a story about family that is lovingly told. Even if some of my information is more revealing about private moments, I hope that the love I have for my family shines through. I would not be who I am today without them and without this story. Thank you, Rachael, for your thoughtful, helpful responses. I love your reviews–whether I read the book or not–they always make me think deeply on a number of different levels. I'd like to be more elegant and say more, but since I'm a writing teacher myself, I'm rushed. So I'll just say, I love your reviews! You make my brain feel good. All good wishes for your own writing/teaching! I enjoyed reading your review of this book and the author's responses to your questions. Her responses validated the approach I've taken to writing memoir. Thank you both. I found her responses so good too. I'm glad they were helpful to you –and all good wishes for your new memoir, Pat. Great review which gives me lots to think about as I continue to work on my own memoir….thank you! I hope you're making progress. It's a long haul. I went to Rachael's reading (I don't know her but got interested in her book when I read about it on Richard Gilbert's blog) and she said it took thirteen years to write — or did I read that on his blog. Anyway — hang in there! Thanks for commenting. I read and admired Rachael's memoir, and your review is so good I want to read it all over again! Superb reviewing skills, Paulette.